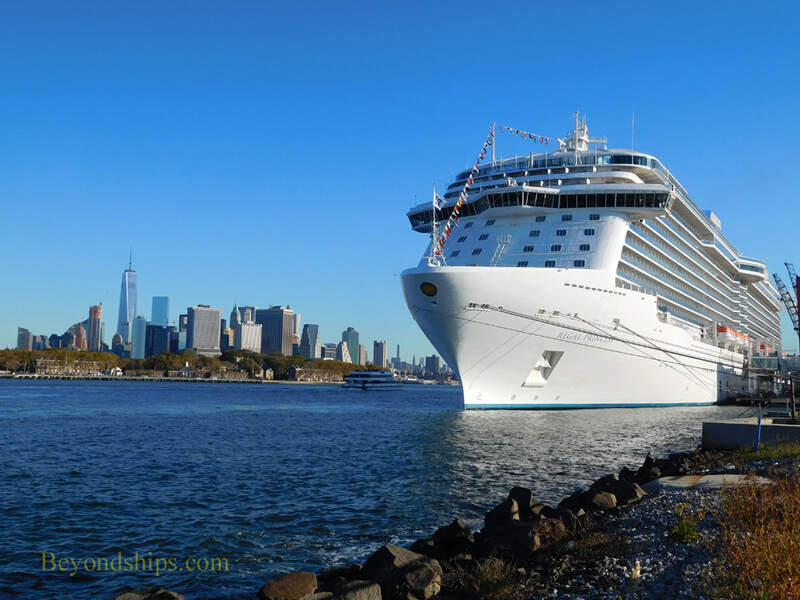 The latest cruise terminal in New York Harbor is the Brooklyn Cruise Terminal. 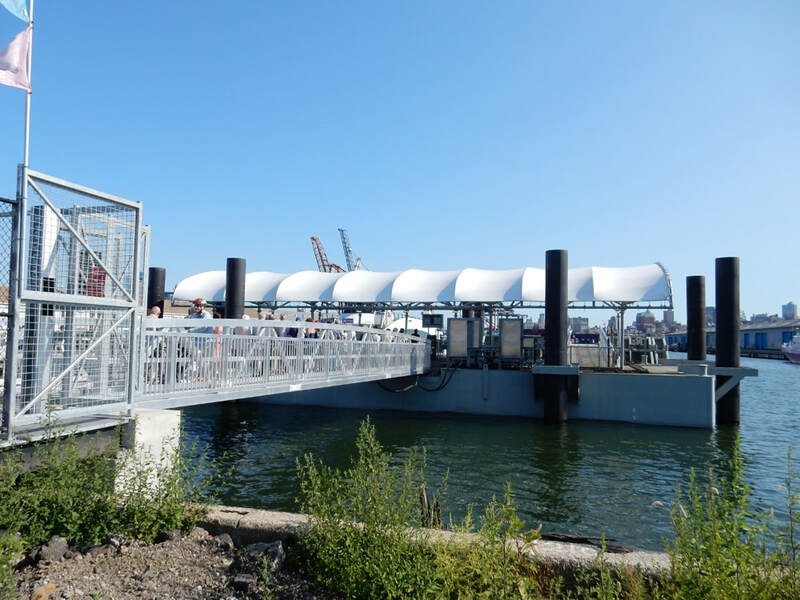 It is located in Red Hook section of Brooklyn at Pier 12 and sits on Buttermilk Channel, which divides Brooklyn from Governor's Island. Pier 12 was first developed before the American Civil War and has been used as a cargo pier for most of its existence. Indeed, the current terminal was converted from a 1954 vintage freight terminal. The cruise terminal, which opened in 2005, is modern and spacious. It is surrounded by a vast parking lot, which also has waiting areas for buses and limousines. baggage. It can be quite crowded at peak embarkation times. Following check-in, walk inside the terminal building to the gangways. Exiting the ship and picking up baggage is also done entirely within the terminal building. Taxis, limousines and Uber cars pick up passengers in the traffic circle outside the terminal building. 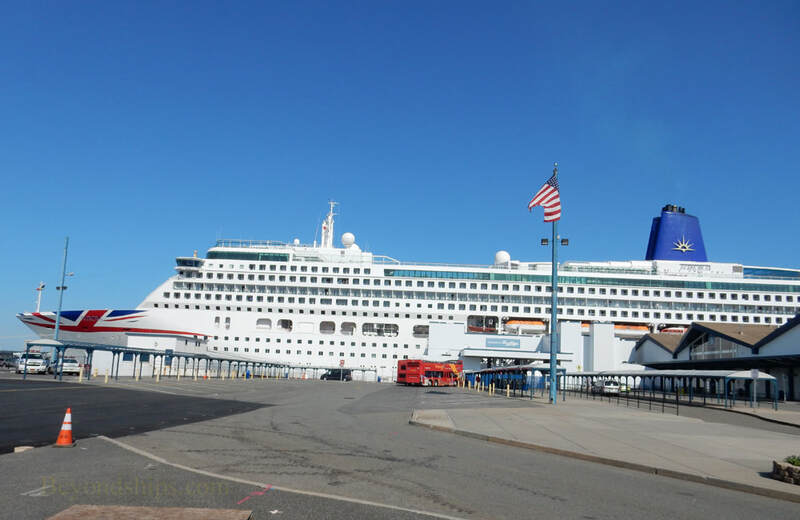 The Brooklyn Cruise Terminal is used both as an embarkation port and as a port of call. There are good views of lower Manhattan and of the Statue of Liberty from ships docked at the Brooklyn Terminal. Unfortunately, there are few places of interest in the area immediately surrounding the cruise port. Getting to and from the cruise port can be challenging. Passengers arriving by car usually take the Brooklyn Queens Expressway and then have to navigate a confusing maze of local streets. There are small blue signs, however, marking the way to the cruise port. Making for more confusion, the way from the cruise terminal to the Expressway is different than the way going to the cruise terminal. Taxi drivers often do not know where the terminal is located. Others fearing that they will not be able to find a return fare, are reluctant to go to Red Hook. Until recently, public transportation to this area was limited to taking a subway to downtown Brooklyn, then transferring to a bus and finally a substantial walk. 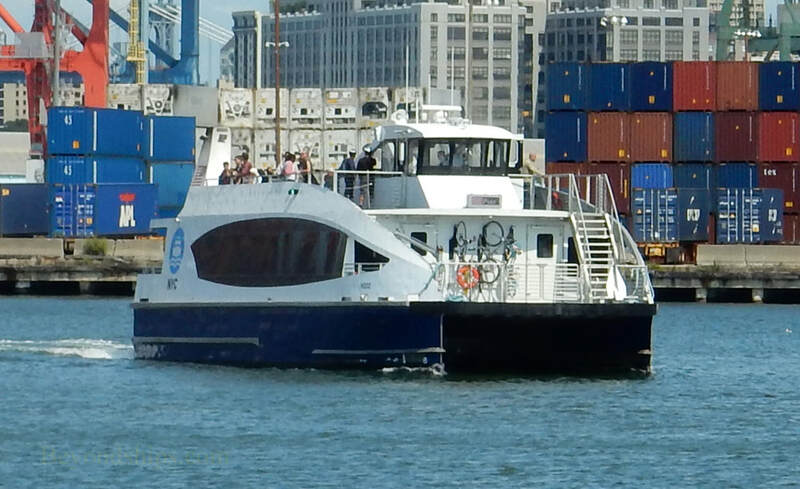 In 2017, a ferry service between Manhattan and Brooklyn opened. The ferry pier in Red Hook is next to the cruise terminal building. (It is called Red Hook Atlantic Basin on the ferry schedules). For a nominal fee, the ferry takes passengers to Wall Street Pier 11 in Manhattan. From there, it is a short walk to places of interest such as Wall Street and the 9/11 memorial. It is also not far from Battery Park where the ferries to the Statue of Liberty and Ellis Island embark. Nearby, is the terminal for the Staten Island Ferry as well as a number of subway stations. 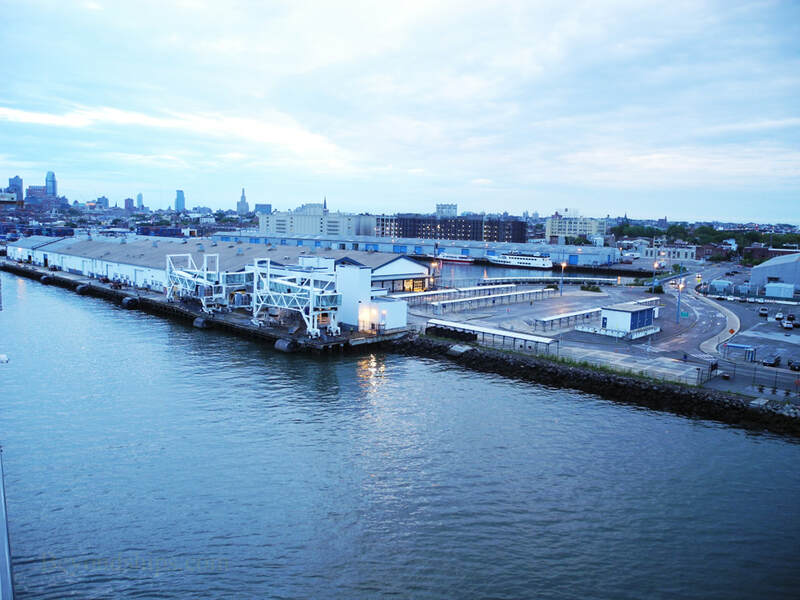 Ship captains tend to like the Brooklyn Terminal because it is relatively simple to approach and because of the modern facilities for loading baggage and supplies. However, due to the problems with transportation it has not been popular with passengers. 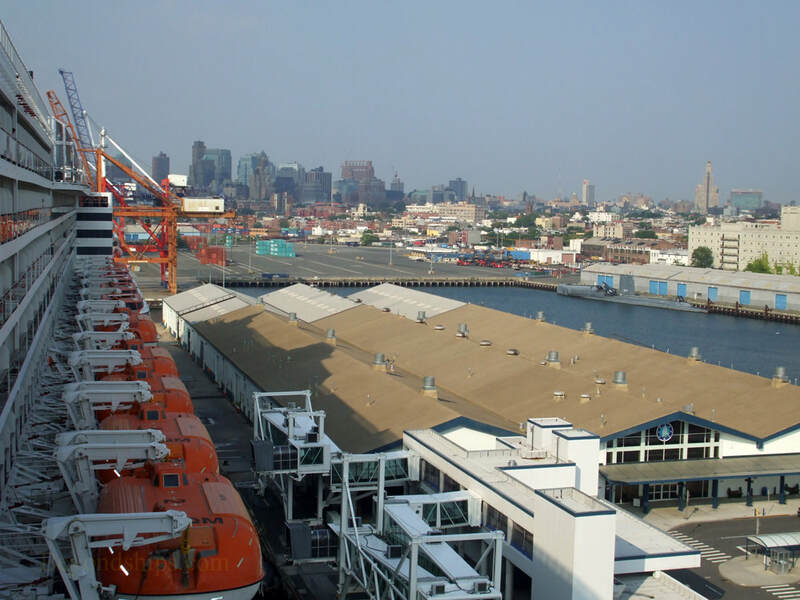 As a result, only a few ships use the Brooklyn Terminal. Queen Mary 2 uses it on a regular basis. Some Princess and P&O Cruises ships use it occasionally. Below: The traffic circle in front of the terminal. The cruise ship is P&O Cruises' Aurora. Below: A ferry approaching the pier. 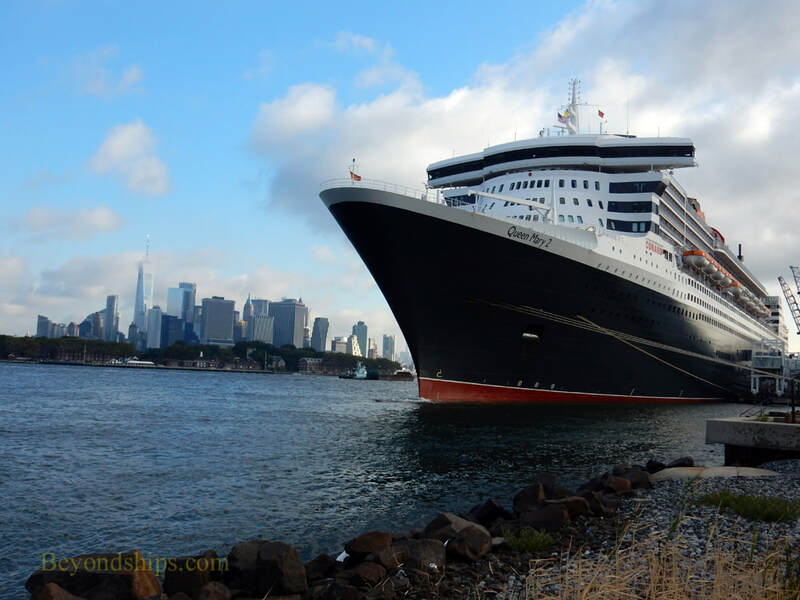 Above: Queen Mary 2 at the Brooklyn Cruise Port. Below: Regal Princess docked in Brooklyn.